Crossroads Expeditions International, a licensed tour operator with the Belize Tourism Board, is a Belizean owned company located in the Maya heartland that offers specialized package tours to archaeological and cultural destinations in Belize. Their website was created by Belize Internet Marketing & Web Design. The website was created to be informative and image driven with bold, beautiful pictures to give clients both a visual experience of the tours and detailed description of what the tours entail. The key features include a fully responsive site which makes it easily accessible from any device, be it a tablets, smart phones or desktops. The websites enhanced SEO makes it easier for it to be found on the web. 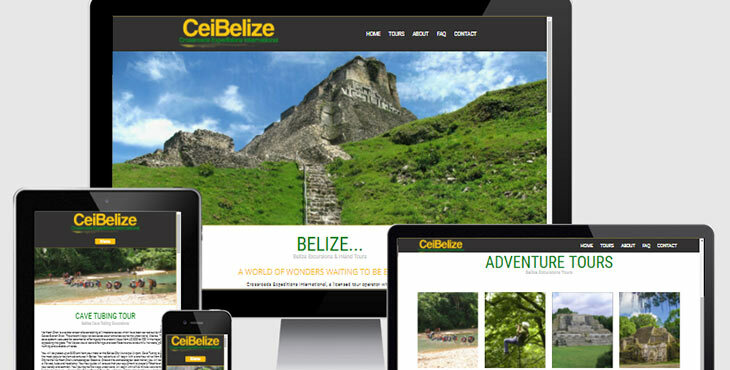 To learn more about what CEIBelize has to offer visit their new website!